Take a break from Grand Canyon National Park with a short trip to Food Tours in Los Angeles, about 1h 20 min away. On the 31st (Fri), hike the day away at Bright Angel Trail. Next up on the itinerary: stroll through Rim Trail, hike along North Kaibab Trail, cruise along East Rim Drive, and take some stellar pictures from Mather Point. To find reviews, traveler tips, photos, and tourist information, go to the Grand Canyon National Park trip website . 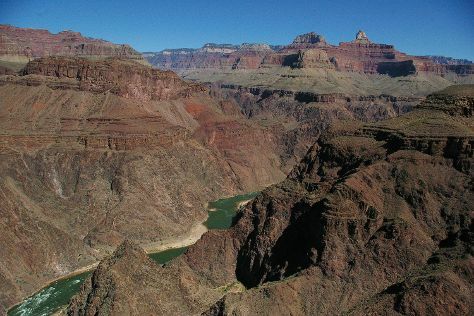 In May, daytime highs in Grand Canyon National Park are 68°F, while nighttime lows are 33°F. Cap off your sightseeing on the 7th (Fri) early enough to travel back home.